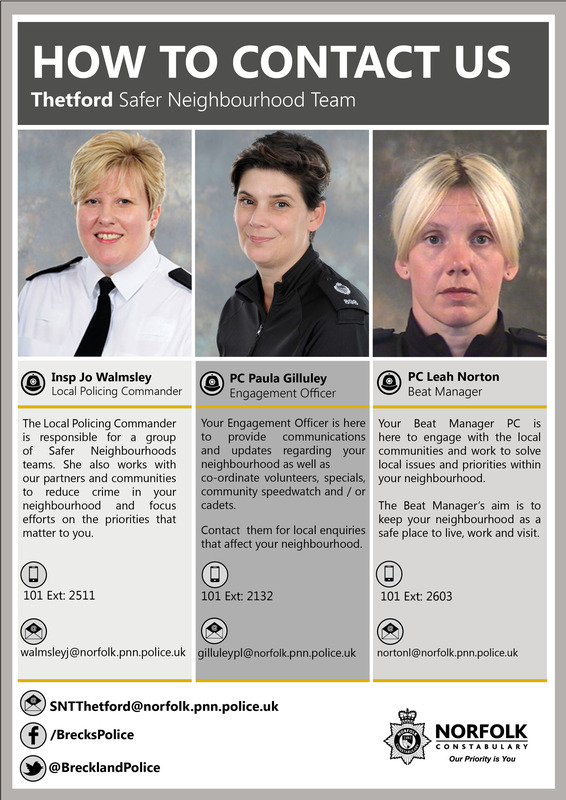 Click/tap to read the Norfolk Police newsletter for the Bedingfeld & Forest area. 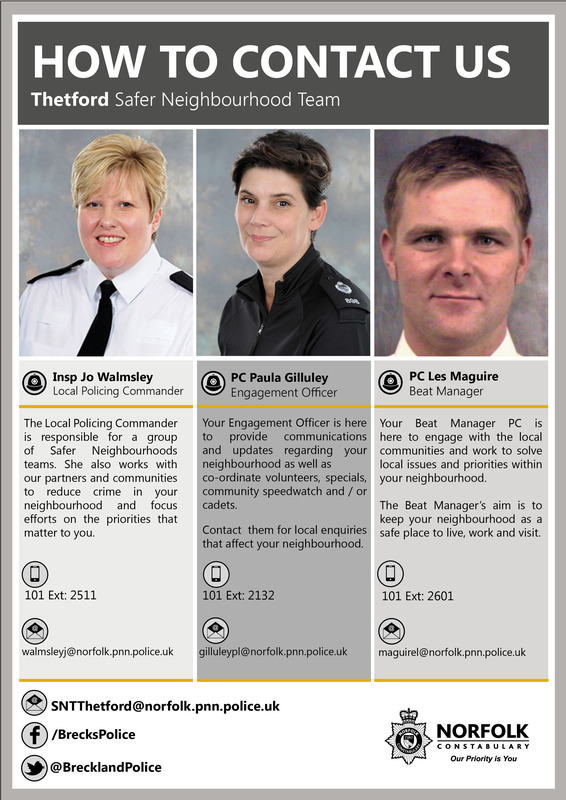 Note that our local beat managers are Pcs Leah Norton, Caroline Whatmore and Les Maguire. 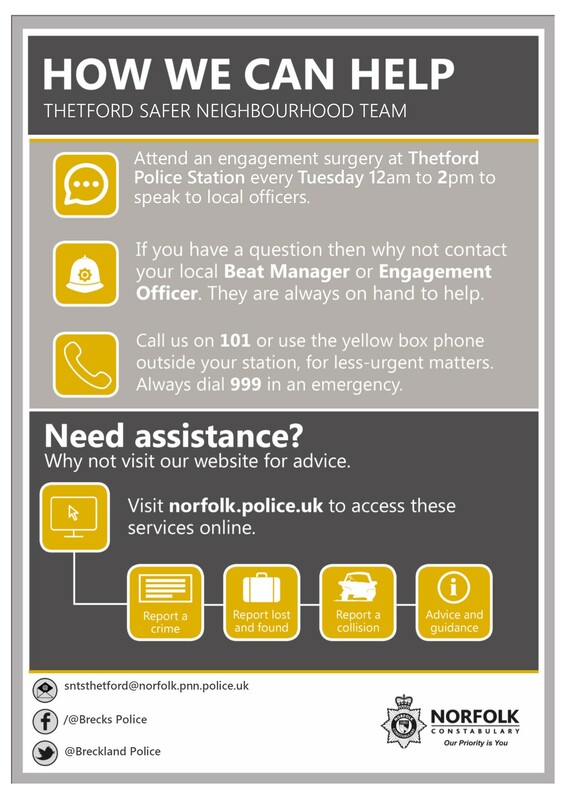 If you have any concerns or questions relation to a policing matter, you can contact them by either calling 101 or by emailing at STNThetford@norfolk.pnn.police.uk. 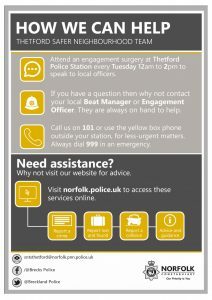 If you would like crime prevention advice follow this link where you can find a Crime Prevention A—Z as well as advice on lots of other matters. 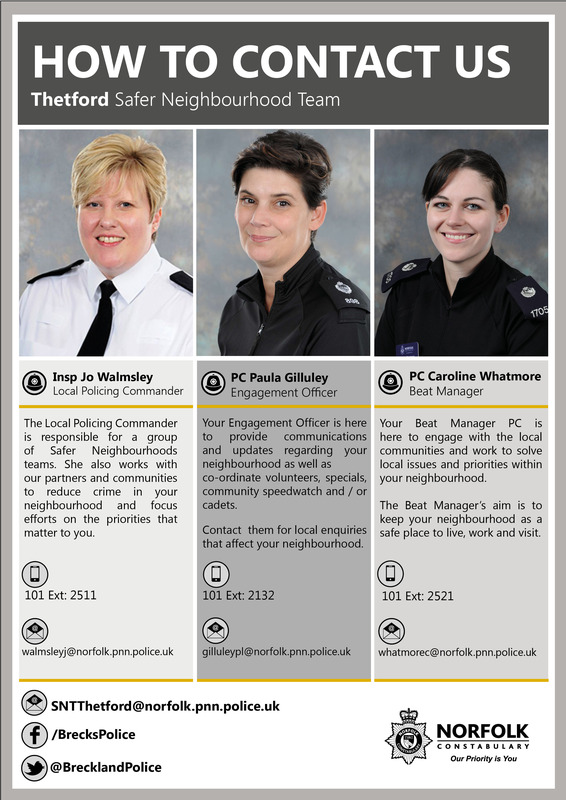 This entry was posted in News on 18th November 2018 by webmaster.